Marvel U.K.'s first original super hero made his explosive debut in 1976. Now, on his 35th anniversary, Captain Britain's earliest adventures are collected in the United States for the first time! Witness the legend's beginning as British student Brian Braddock makes a fateful choice between might and right, and becomes Merlin's champion! 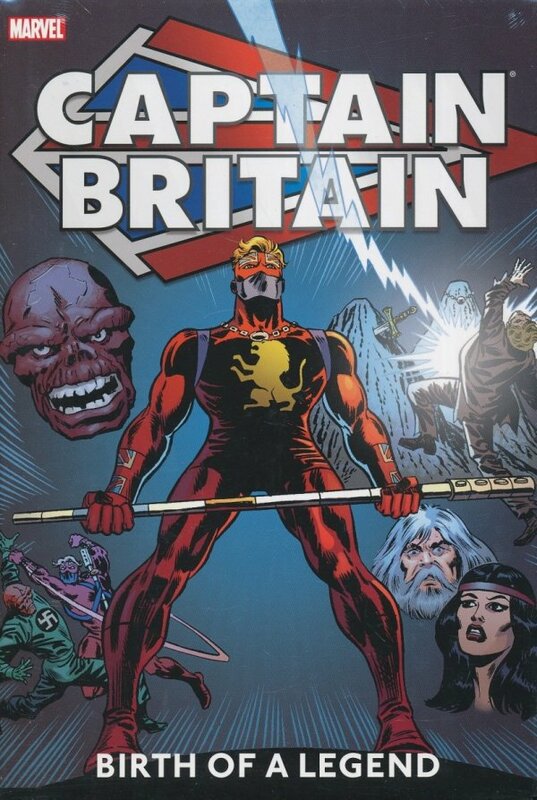 Experience Captain Britain's first battles as he faces fearsome foes like the Reaver, Hurricane, Dr. Synne, the Mastermind computer, Lord Hawk, Nykonn and the Manipulator. 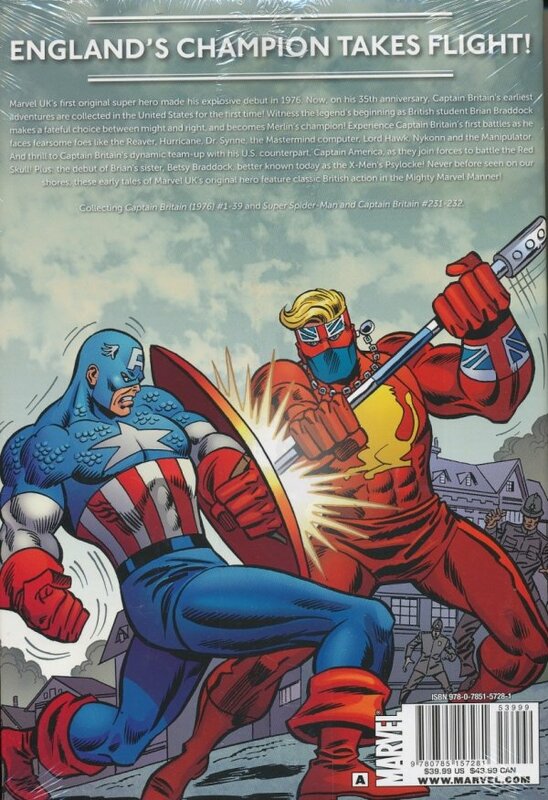 And thrill to his dynamic team-up with U.S. counterpart Captain America as they join forces to battle the Red Skull! Plus: the debut of Brian's sister, Betsy Braddock - better known today as the X-Men's Psylocke! Never before seen on our shores, these early tales of Marvel U.K.'s original hero are classic British action, presented in the Mighty Marvel Manner!